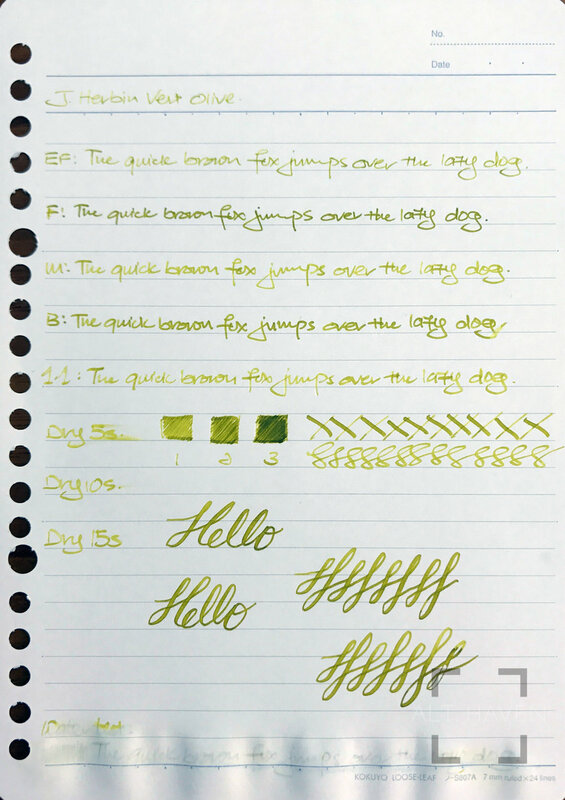 Vert means green in french and J. Herbin Vert Olive is aptly named. It is a yellow green ink that’s lighter than Rohrer and Klinger Alt-Goldgrün. It is comparatively yellower and lighter. It shades slightly in my EF nib but I realise it will fare better with the broader nib options. Personally, I don’t really like Vert Olive’s shade but it is way more readable than Pilot Iroshizuku Chiku Rin. This is a happy medium between Alt-Goldgrün and Chiku Rin.